All 55 Bikes From EVERY Fresh Goods Friday In 2017 – And Only 3 Are e-Bikes! Well, well, well. What a helluva year that was eh? Hats off to all of you for making it through 2017, because there were a few moments there where it wasn’t looking good. But hey, here we are, and that’s worth celebrating! It’s been a jam-packed 12 months of non-stop action here at Singletrack Towers, which started early on when we made the big decision to change the format of our print magazine due to a not-inconsiderable price increase for both raw paper and printing costs. But instead of following the market trend of shrinking the size or page count of our magazine to reduce costs, we stood firm in our commitment to print media by actually making each issue bigger, providing more breathing room for beautiful photos and inspiring stories. 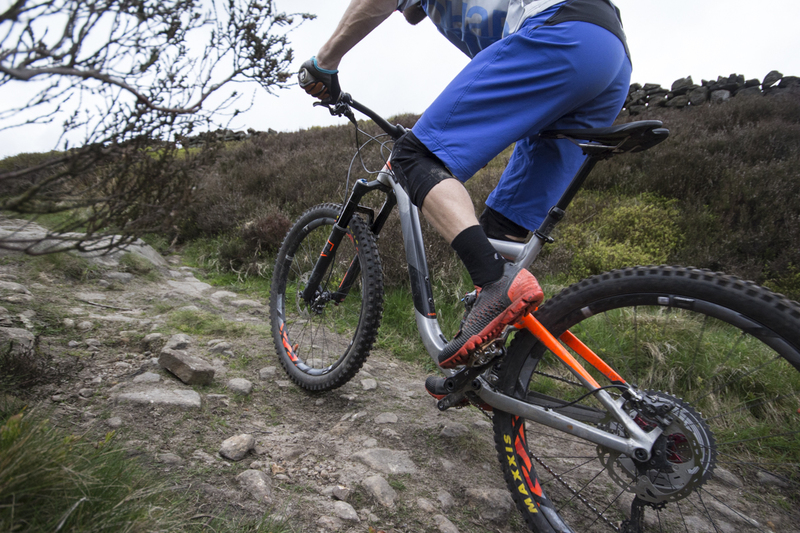 Because after all, that’s what we think makes Singletrack, well, Singletrack. It seems to have gone down well with you (yes that’s you, the reader!) and we have all of you to thank for enjoying what we do and supporting the hard work that goes into each of the six issues that we produce each year. 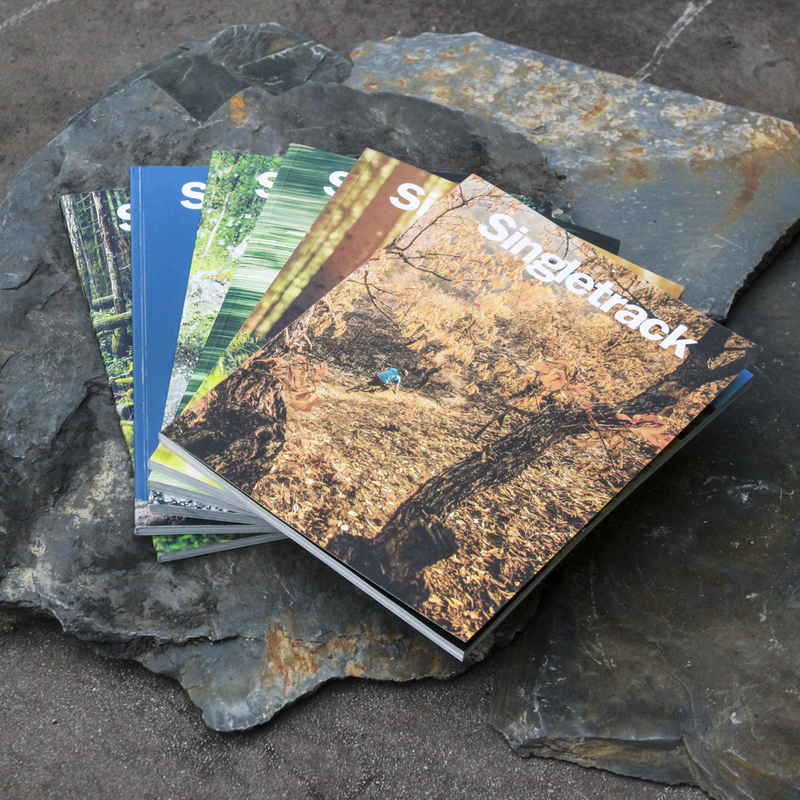 So on behalf of the entire team at Singletrack; thank you! Happy Holidays – from us, to you! 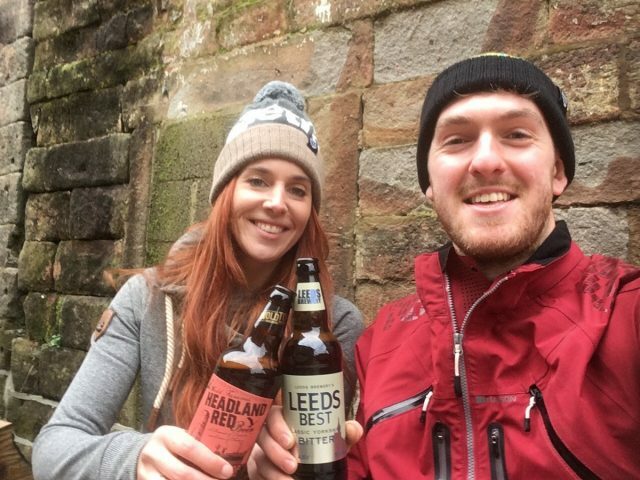 On top of the magazine, we’ve been busy beavers on the website too, which has been the little engine that could, having experienced further growth over the past year. 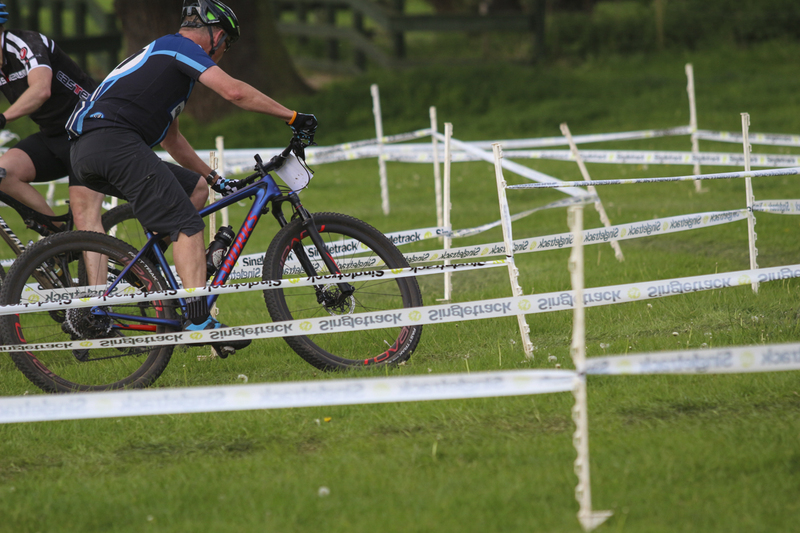 We’ve provided online coverage from all the major bike shows in the UK including Core Bike, The Bike Place, Ice Bike, the London Bike Show, the Birmingham Cycle Show and more. 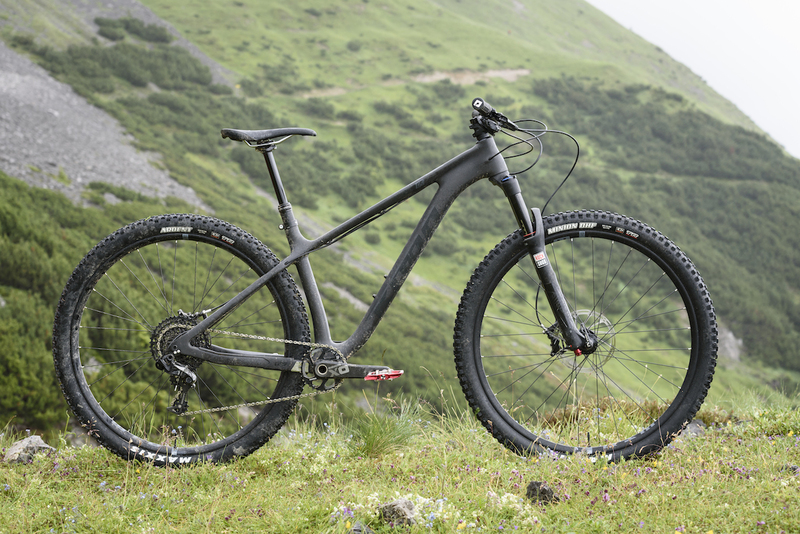 We’ve been to all corners of the globe to report on new bike launches, including the ground-breaking Hope HB160, the Kona Process G2, and the new Specialized Epic, just to name but a few. Chipps also made his annual pilgrimage over to Sea Otter, where he had the opportunity to interview both Keith Bontrager and Jeff Steber, while a bunch of us travelled in the Singletrack Magical Mystery Van over to Germany for the world’s biggest bike show, Eurobike. We’re still having nightmares about the pretzels. We made some more of these in 2017. There were many fantastic events around the country that we travelled to, including (but certainly not limited to) Vallelujah in the Tweed Valley, the Singletrack 7 at Catton Hall, the Pivot TwentyFour12 in Newham Park, as well as the 20th – and final – edition of the classic Mountain Mayhem. 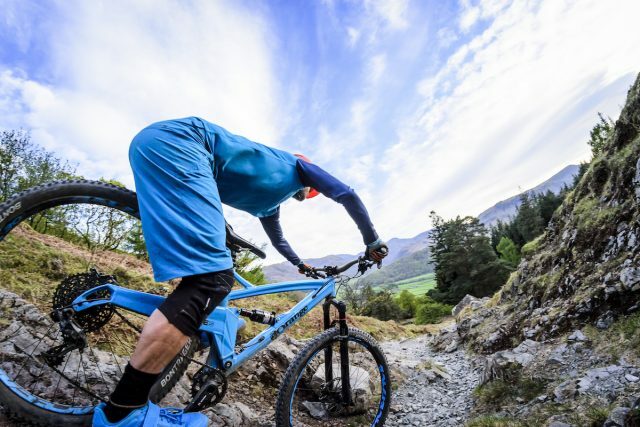 Then of course, there was THE biggest event on the calendar; the Fort William World Cup. The work van has certainly notched up a few digits on the odometer this year, that’s for sure. 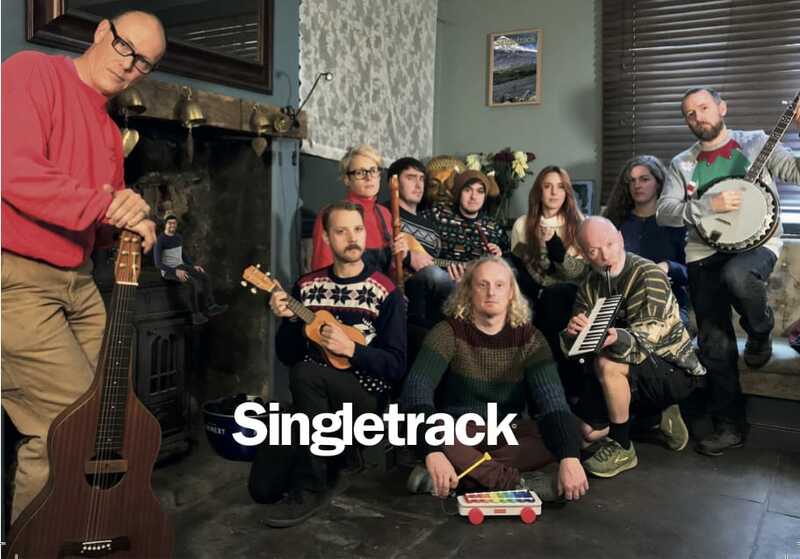 In amongst all of that, we’ve had to say goodbye to one member of the Singletrack Editorial team this year, Mr Rob Mitchell, who signed off as Art Director following his last issue, 115. #sadface. Rob left some rather big shoes to fill (size 44 to be exact), having blazed a trail with his unique design skills and photo editing abilities. 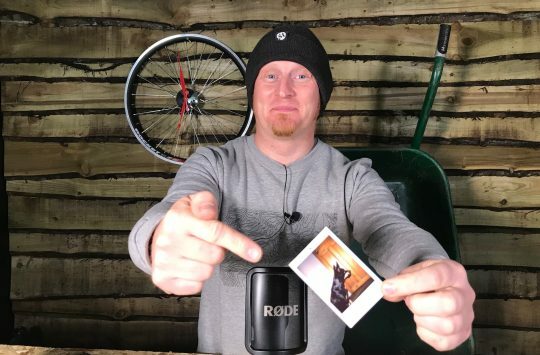 You have Rob to thank/blame for all the VLOGs that went out this year. 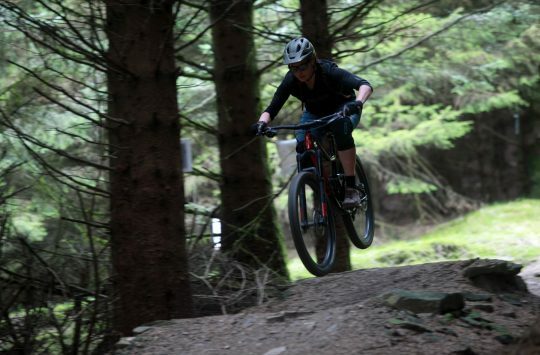 In his place though, we’ve welcomed Amanda Wishart, who has brought a wealth of experience to Singletrack Towers, and has already delivered both a beautiful issue (116), and the 2018 Singletrack calendar that many of you will already have on your walls. We’ve said goodbye to Rob, with Amanda filling his boots as our new Art Director. 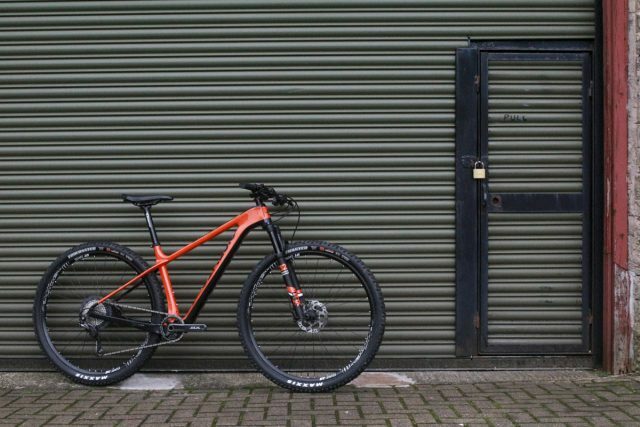 Looking back on the past 12 months of bike testing, there has been a shed-load of bikes that have come through Singletrack Towers. Last year we cracked 50 bikes in our annual Fresh Goods Friday haul, though this year we somehow managed to go five more. To celebrate this milestone (and to say good riddance to 2017! 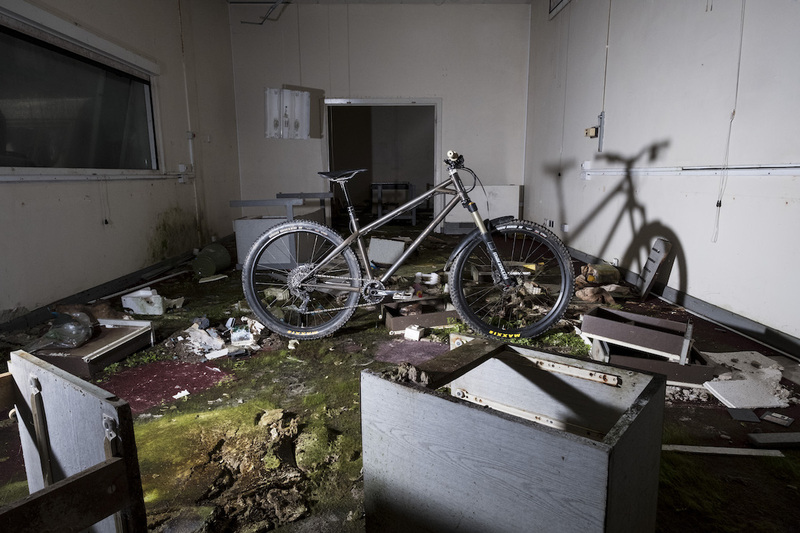 ), we’ve put together this retrospective look at all the bikes featured in Fresh Goods Friday through the past 12 months. Some of them appeared for a short while, while others stayed on for thorough longterm reviews, which we’ve provided links for where possible. It’s one big ol’ list, so may we recommend getting a brew in hand, before kicking back to enjoy this list of the 54 bikes of Fresh Goods Friday in 2017! Not Sedona, but the sun shines in Calderdale (sometimes). Hannah reviewed this during the first six months of 2017, having first ridden the Advanced 0 at the launch event in Sedona. 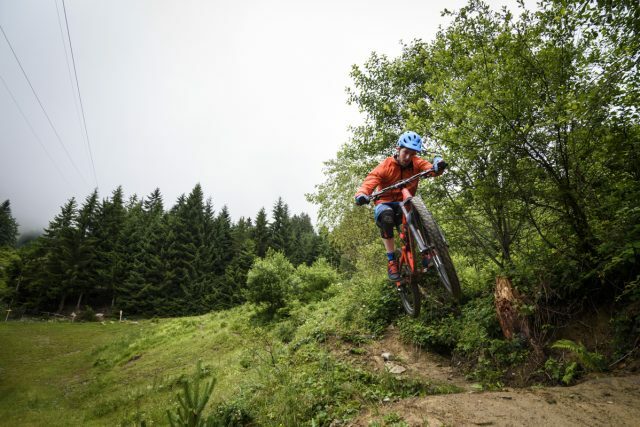 You can check out her review here, her trip to the Endura Jura by Julbo (to which she took the Hail), and her final adieu here. Pedal for your lives! Zombies! 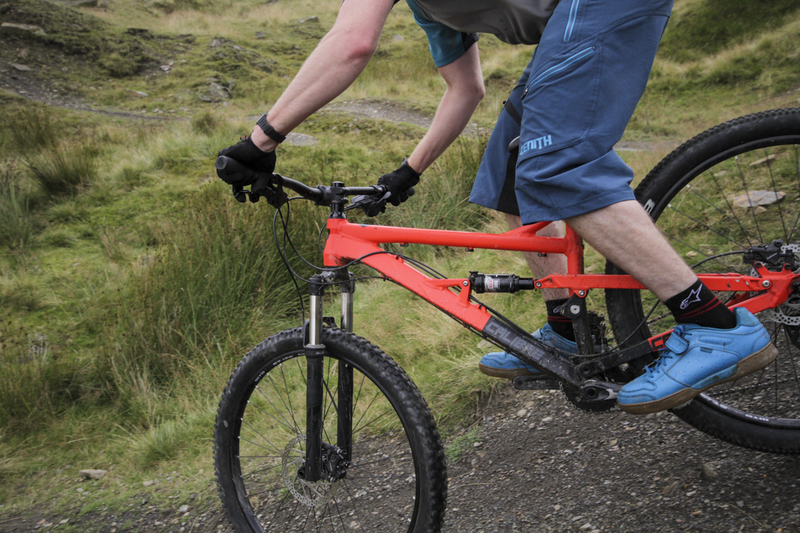 Yes, those are drop bars, but this is no ordinary drop bar bike. 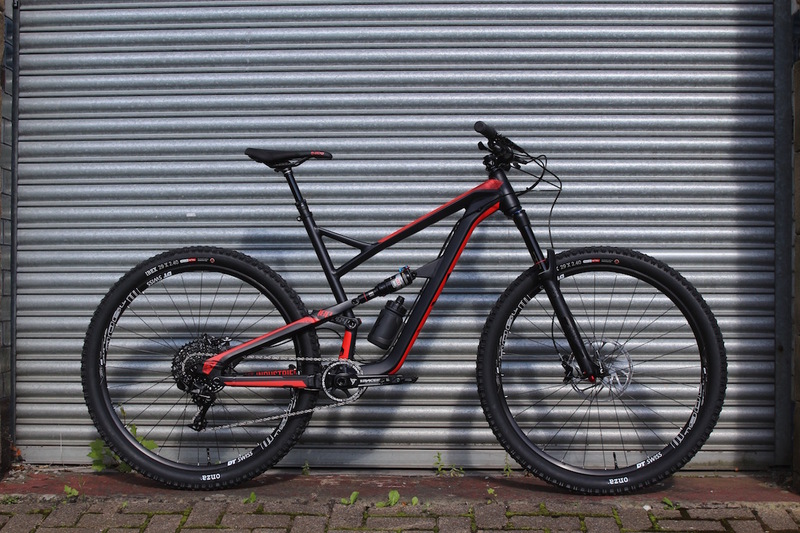 We reviewed this as part of Zombie Apocalypse bike test. Because…well, why not? We get to go to all the glamorous locations. Another Zombie Apocalypse candidate, the BTR Ranger made us wonder whether fleeing for our lives might not be all bad. 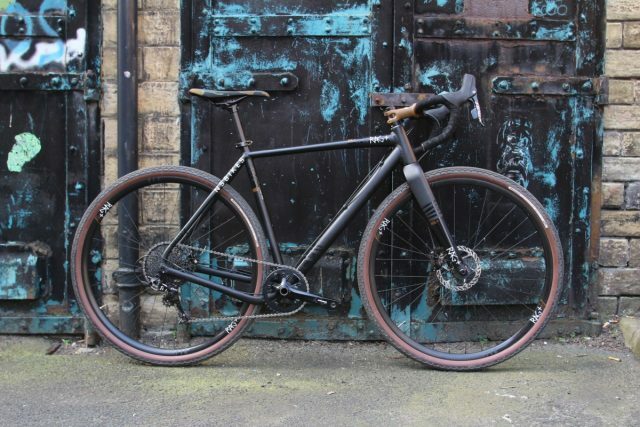 Wil wrote what might be the longest bike review ever published about this bike, which was heavily revised for 2017. Gearbox? Check. Belt drive? Check. 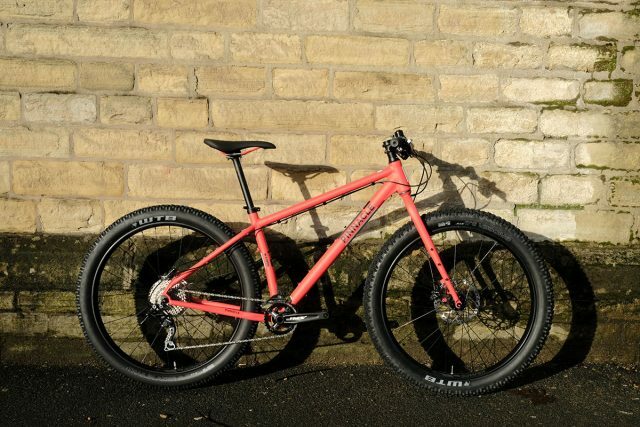 British made carbon fibre customisable frame? Check. 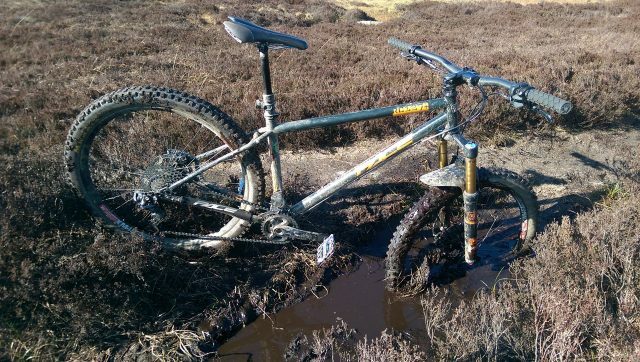 Would this bike designed for UK mud help us survive the Zombie Apocalypse? The RAM completed the line up for this bike test. Is that Danny Mac? Or Andi? Our Andi tested this Andorran steel hardtail with this racing car inspired paint job. He’s since bought it – if that gives you any indication of how much he liked it! Longitude, for long periods of solitude and adventure? Jason Miles took this one off for some serious mileage. So serious in fact that the review is still to come – watch this space! But our James admired it so much, he’s just bought himself one. One of the blingiest bikes we’ve ever test, this was dripping with kit from distributer Saddleback. Andi and Wil squabbled over it, and in the end were made to share. Playing out, before James got injured. James was testing this bike, but before he could get much more than this first look done, he spannered himself. Not on this bike we should add – he slipped on the school run and dislocated his shoulder. He’s just about ready to start riding again – hopefully that’s the long road to recovery nearly over. 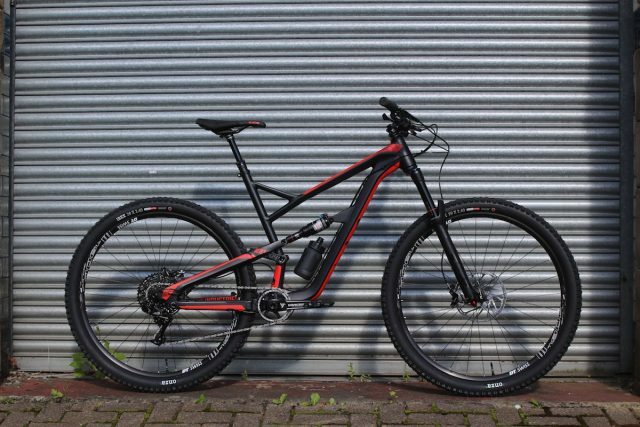 ebikes, making commutes fun again. 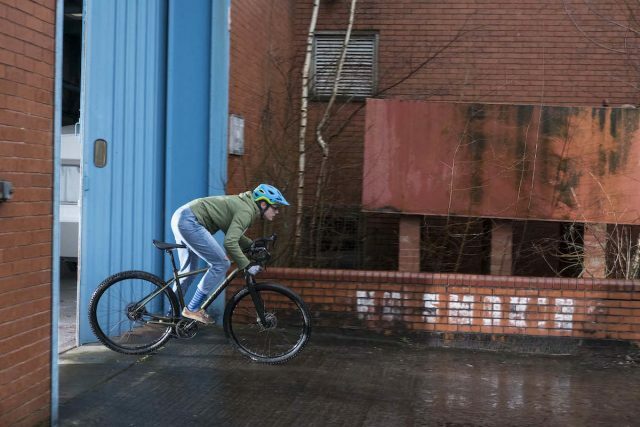 Hannah tested this in order to try and inject some riding mojo into her wintery commutes. 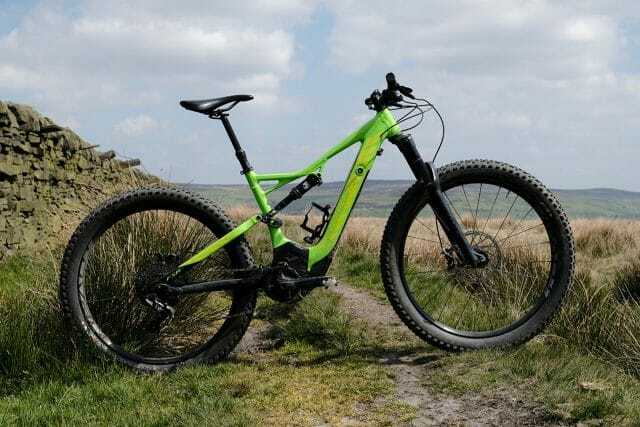 Up and over the moors by e-bike being more pleasant than along the main road by leg power alone. Her review is here. 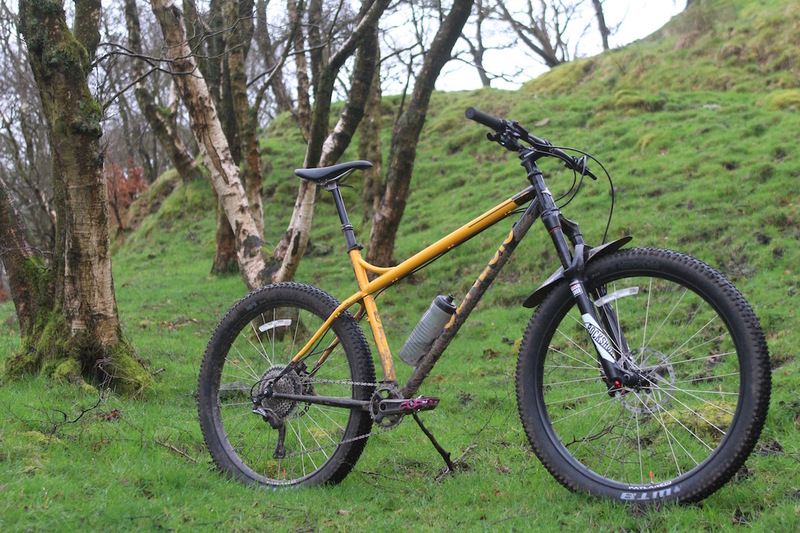 Antony continued his exploration of the ‘budget’ full susser market with this Norco. So far he’s tested three candidates under £1500. 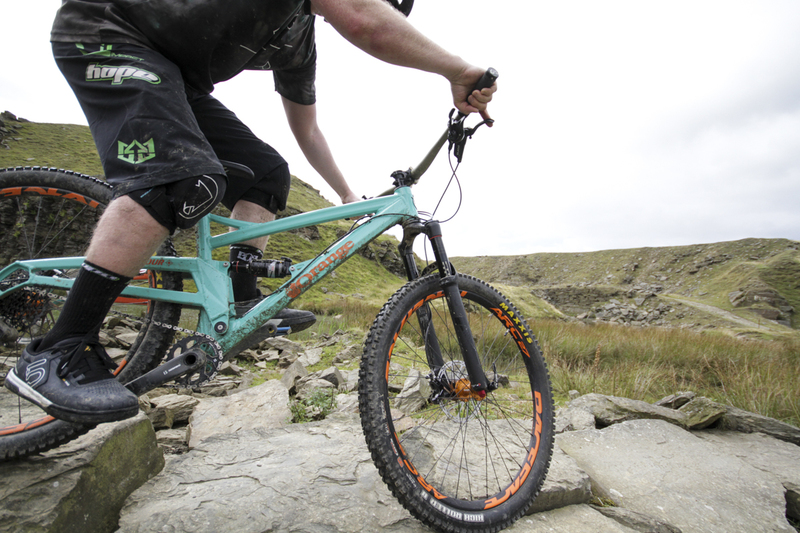 If budget is key, we’ve also tested three sub £1000 hardtails. …and in winter, this will be wet. David has been testing this bike, and also using it a mule for his XT Di2 review. As you can see, it’s being made to work hard. This photo was taken in summer. 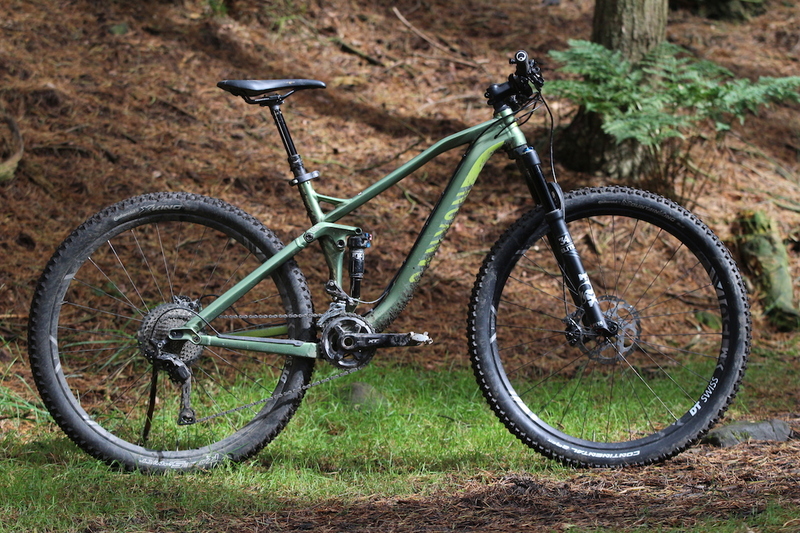 Surely one of the most subtly gorgeous bikes we’ve reviewed this year? On test for grit.cx, but so pretty we had to give you a look too. Head here for more ogling, or here for the review. All Smurf, All The Time. Wil reviewed this some time ago, but is still riding it round Calderdale’s trails. We think he rather likes it. Or maybe it’s just because he has matching shoes, shorts and jersey? Grey and green, Hannah’s favourite colours. 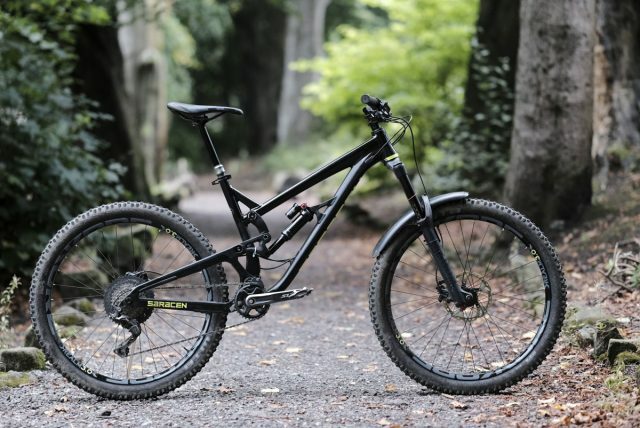 We had the very first Cannondale Trigger in the UK, and gave it a thorough pasting on our local trails. There’s a first look here and you can read Barney’s review here. With a light dusting of mud. 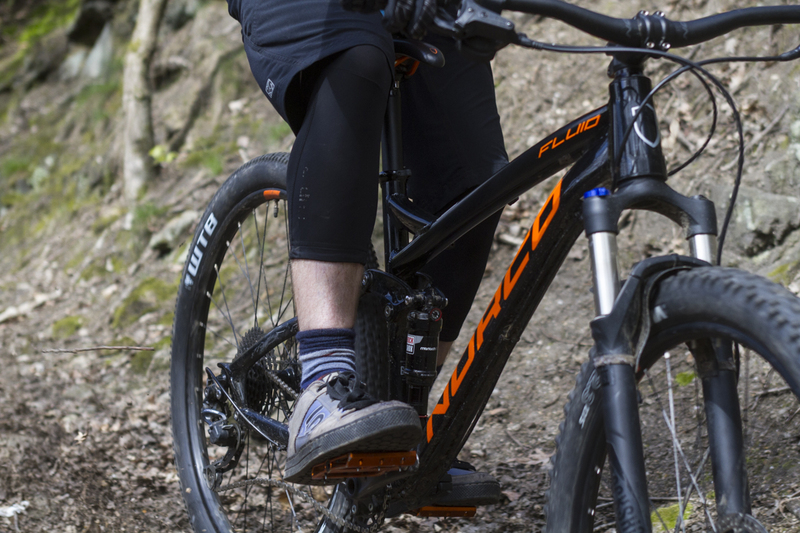 An ebike built to be as unlike an ebike as possible, with the battery tucked neatly away. We checked it out against its unpowered brethren, when Focus spent a day out on local trails with us. If they ever paint those doors we’re going to be down a shoot location. Named for its wheel size switching capability, Wil tested this in 29er format…for our Modern Geometry 29er bike test. Andi in a rare wheels on the ground moment. 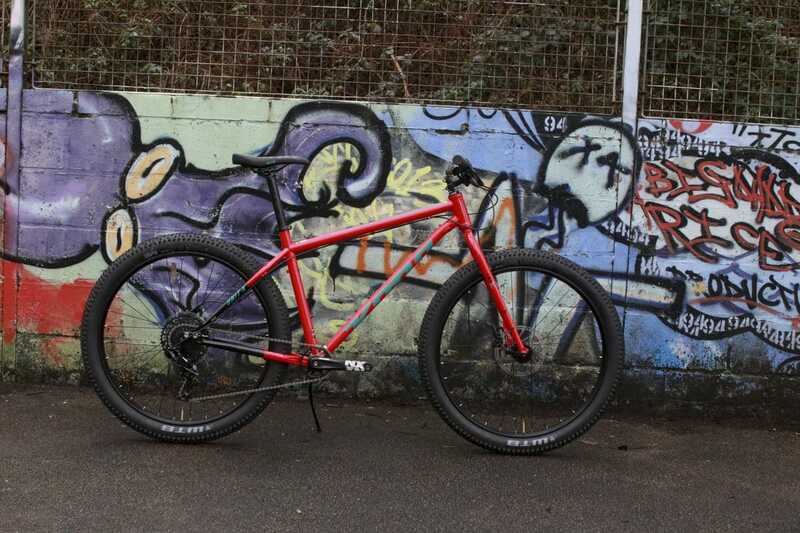 This bike was given the first look treatment by Wil, then taken to the trails by Andi, who discovered that quality of travel is more important than quantity. Lurking is hard when you’re that bright. 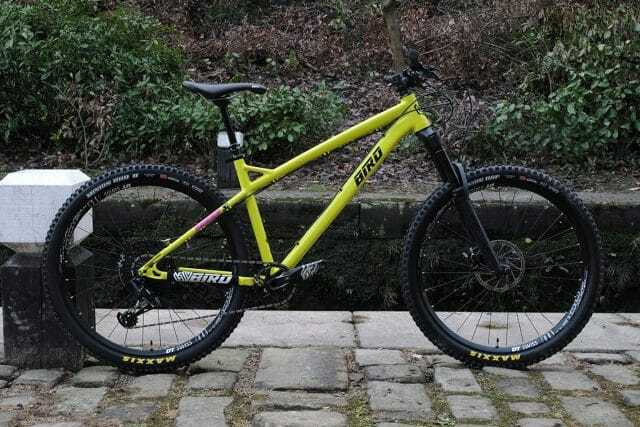 Completing the line up for the Modern Geometry 29er was this bike, given the first look treatment here, and then reviewed here. Andi doing the Trail Tango with the Rocky Mountain Altitude. 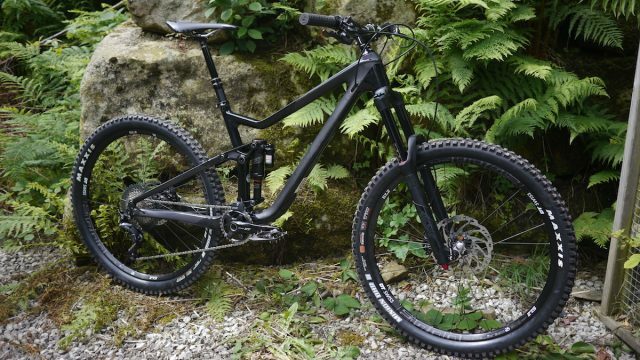 Rocky Mountain had a few big released for 2017, including the all-new Altitude. 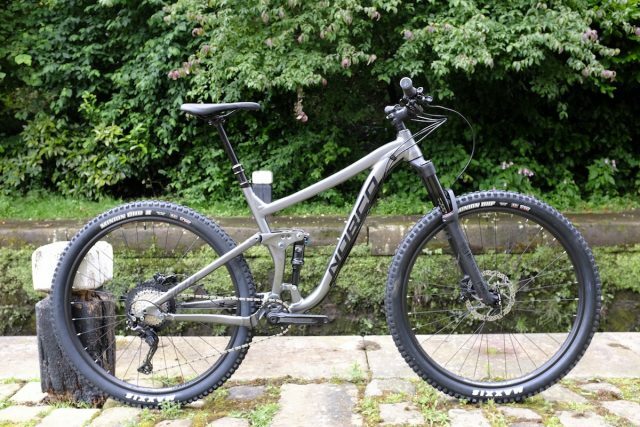 One of Rocky’s most popular mountain bike models, the Altitude proved very popular with Andi, and you can head here to read his review. A fattie, but no slouch. Tom Hill got his enduro on with this bike which got the first look treatment from Wil and was reviewed by Tom. Bike and kit colour combo on point! 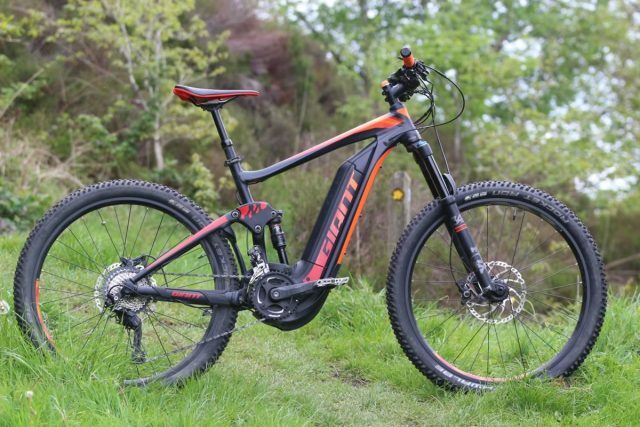 Scottish Correspondent Tom Nash put this bike through its paces. Check out his review here, and Wil’s first look article here. Look, us racing a race bike! So light we all had to pick it up and exclaim ‘ooh, isn’t it light!’, and so pretty we had to stroke it. This set a few hearts a flutter – check it out here and here. The Root Miller comes direct from Rose to you. Tested by Mr Lake District, James Vincent, he went off on this bike to mill some roots, or something, and came back with this review. Ah, that day when the sun shone and we rode for miles. Lovely. We went out for a very sunny day out with Georgia from Specialized on these. Much giggling ensued. So much that we had to do some video outtakes. Price: £1599 frame only, approx £3499 as built. Crayons notching up air miles aboard the SLED. Photo: James Vincent. 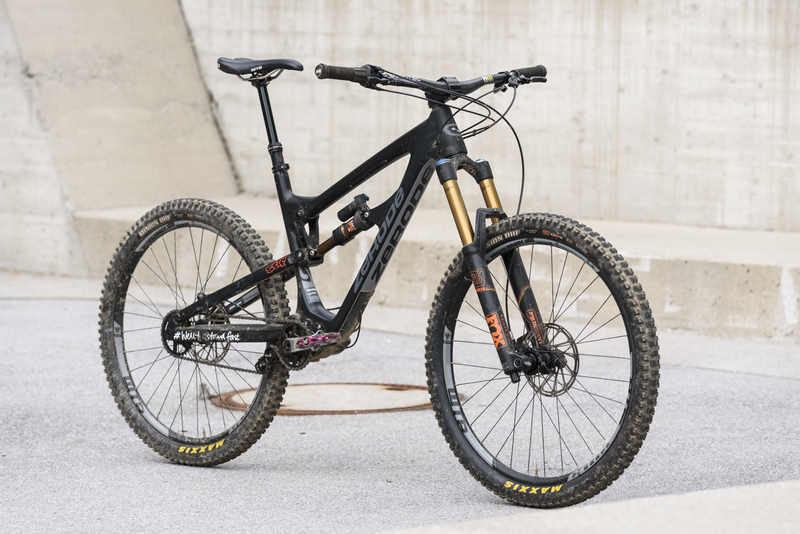 Wil and Rob Crayons reviewed this bike, with Crayons giving it the full rowdy testing in Innsbruck. 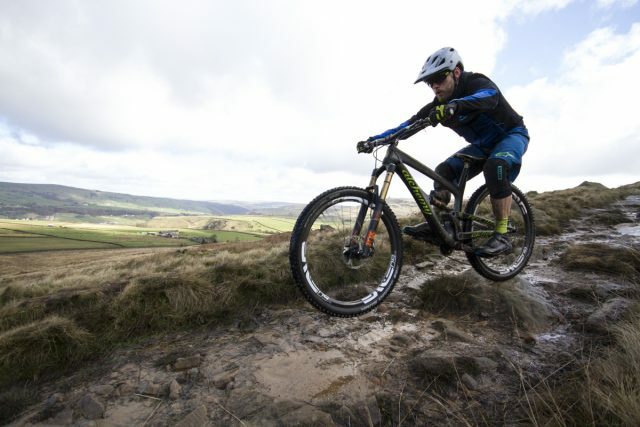 Crayons also took it out testing in Leeds, with his mate Ollie, who definitely doesn’t work for Singletrack. Rob, not crashing at Antur Stiniog. Chipps, this is how you do it. 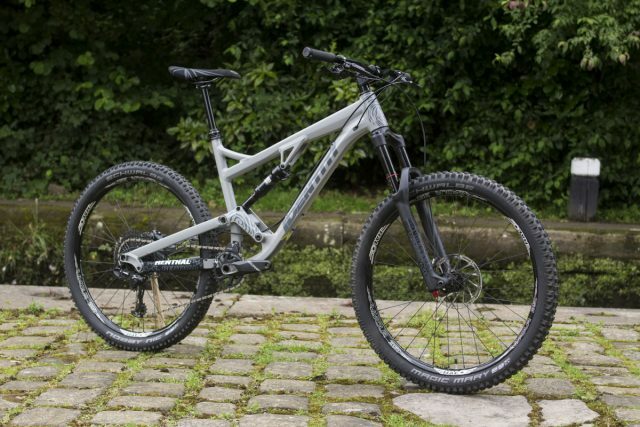 Mr Crayons gave us a first look at this bike here, then his final verdict here. 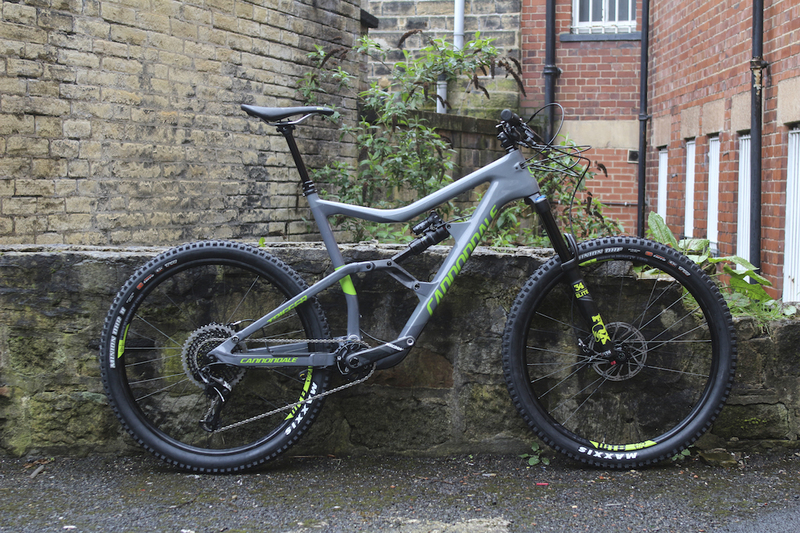 Following a trip to their R&D centre in Stuttgart where we learnt about their design process, we had a ride on the new Merida One Forty, and then this One Sixty arrived in the office for testing on home ground. Is this the year that gearboxes got interesting? Every gearbox bike seems to attract a lot of interest. This one was no different. Andi won the fight to be the one that got to test it. 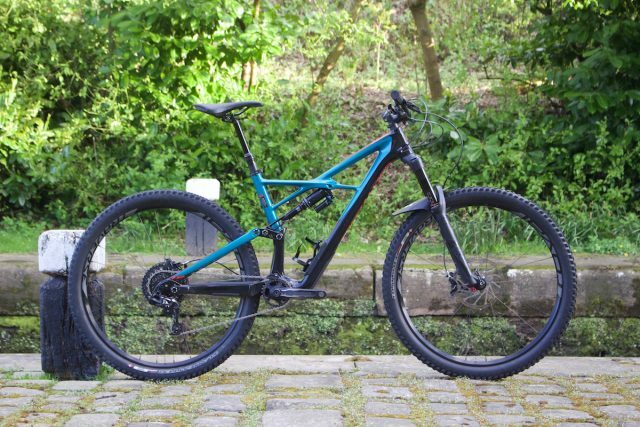 We got a first look at this British made hardtail here, then we took it off to Innsbruck for some more testing before the final review. Since we reviewed this prototype, Trillion has joined forces with Shand, who will be making the production bikes. Money can’t buy happiness, but it can buy this, which will probably make you happy. 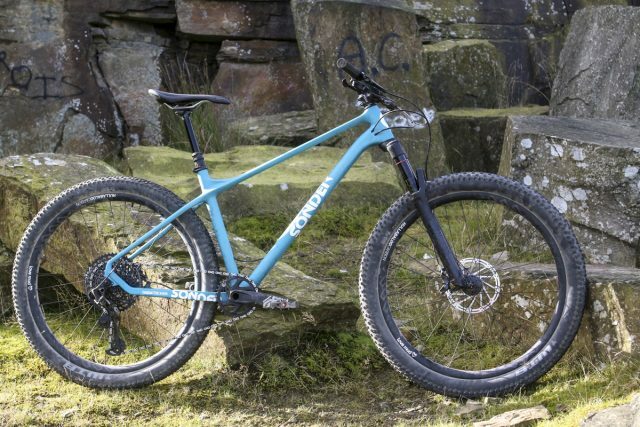 Antony continued his exploration of full sus bikes for the budget conscious, testing the Bossnut V2, which would go on to win the Singletrack Reader Award for best bike under £1000. Not just an XC bike. Making the trip to Innsbruck with us for our Killer Hardtails bike test, the Honzo made Wil recalibrate his ideas about just how much fun you can get out of of XC hardtail. 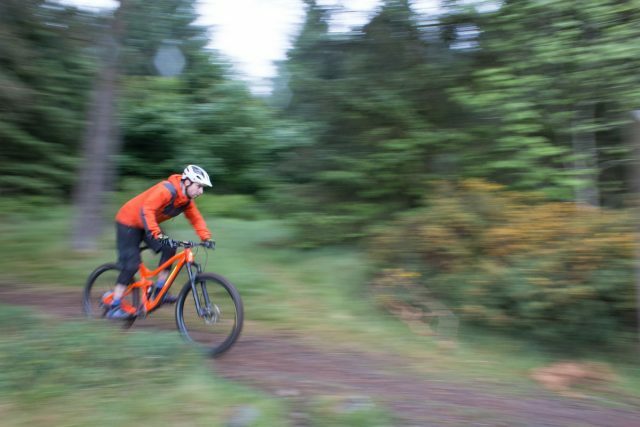 Hannah scouting lines through the trees on the Nukeproof Scout. 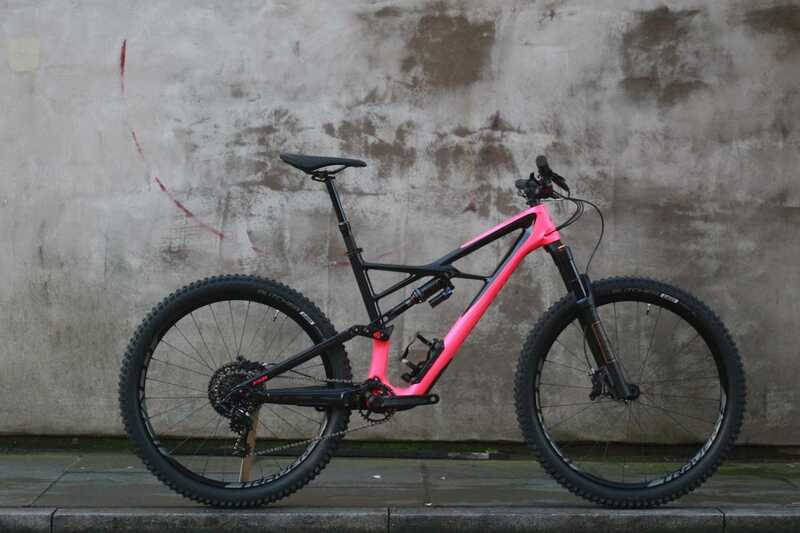 The third bike in our Killer Hardtail group test was from Nukeproof, being the uber-tough, and well colour-matched, Scout 290 Race. Wil put together a comprehensive first look here, and with Hannah’s help, tested and reviewed the Scout for Issue #114 of the magazine, which is now available to read in full right here! 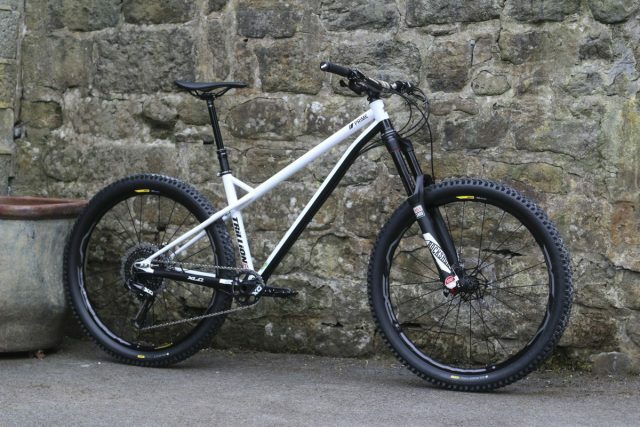 Price: £699 frame only. 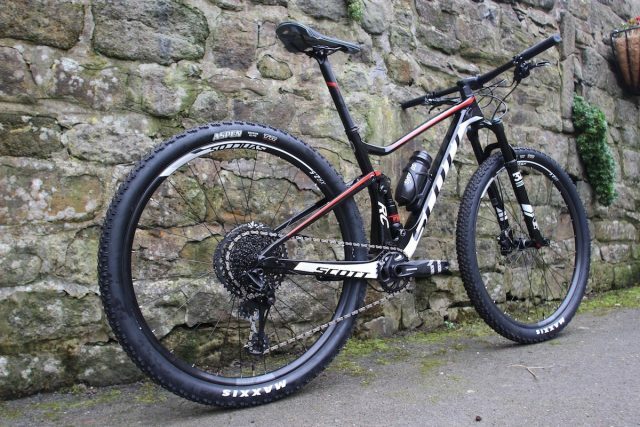 £2249 complete + $570 for carbon wheel upgrade. SRAM GX Eagle makes an early appearance. 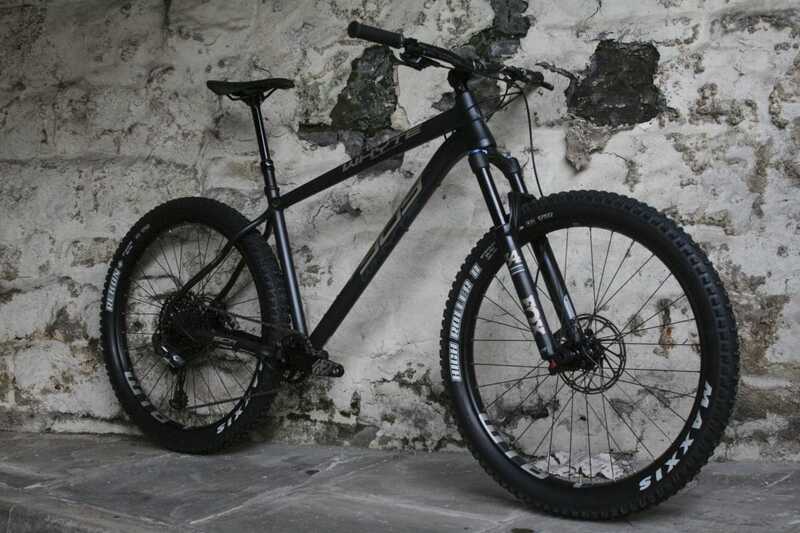 Joining the Sonder line up this year was this carbon fibre hardtail at a price point that caught the attention of many. 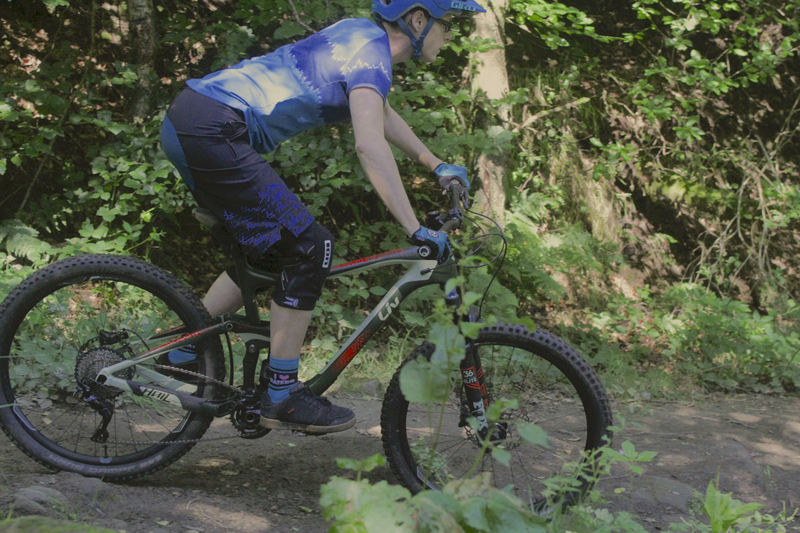 Rachel Sokal hopped aboard to discover a versatile and responsive bike. 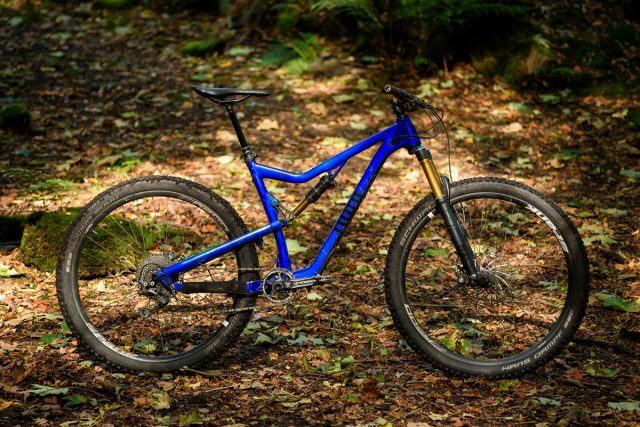 This bike’s designer brought this to Singletrack Towers and talked us through its features in this video. 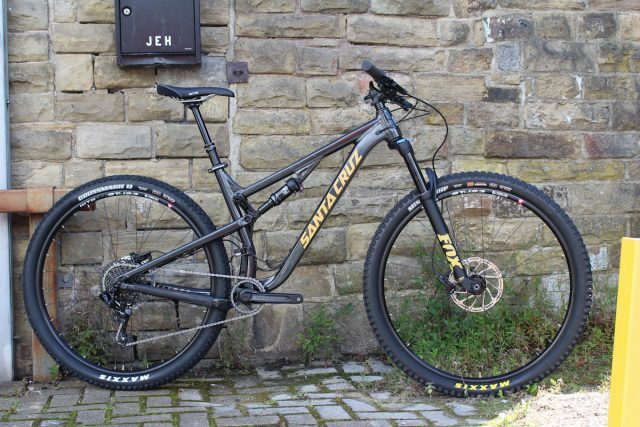 He then left it with us for Barney to find out whether he would get as rowdy as promised on this 160mm travel enduro machine. 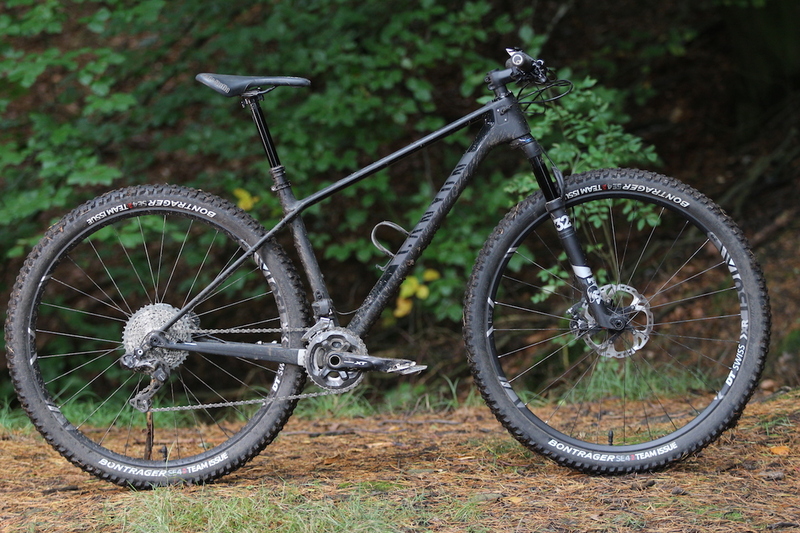 Wil continued his trend of taking XC bikes to XC and beyond with this race bike from Canyon. Di2 alone wasn’t enough technical wizardry for him, so he added a dropper and took things up to Fun Def Con MORE. 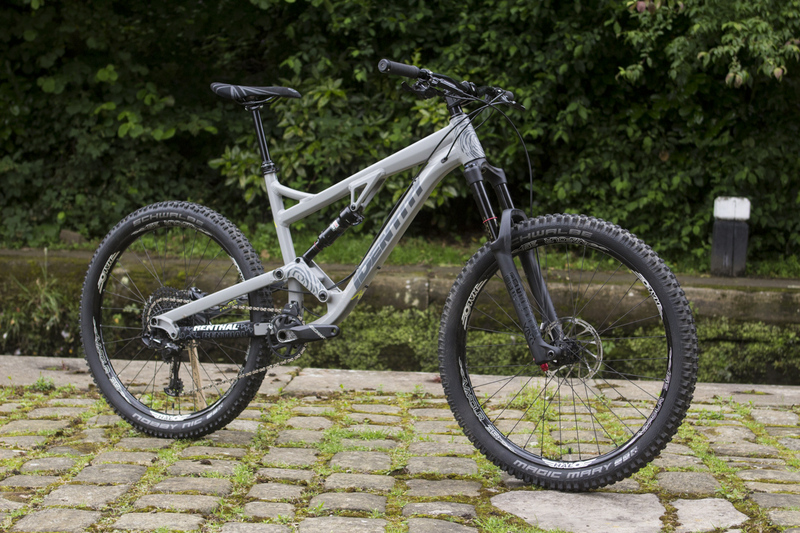 If you want to see the bike in its original spec, check out the first look article here. Nerve, Neuron, Synapse…will there be a Dendrite in future? 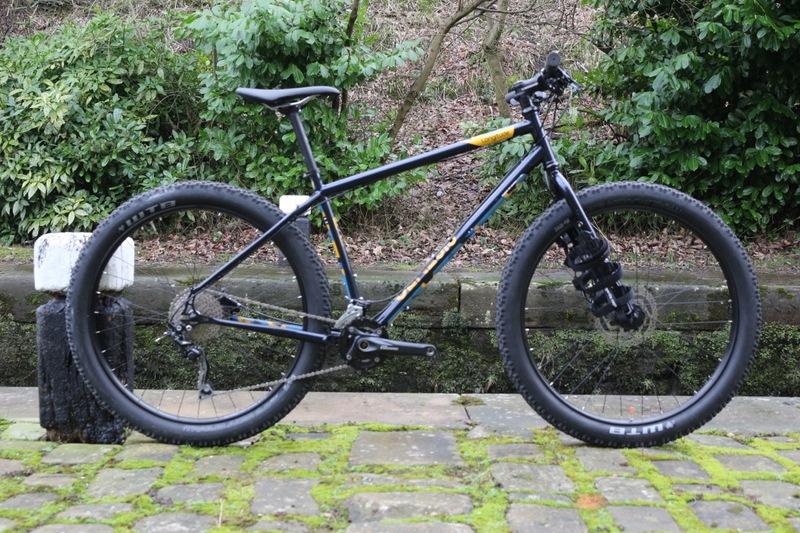 We don’t just confine Antony to sub-£1500 bikes. 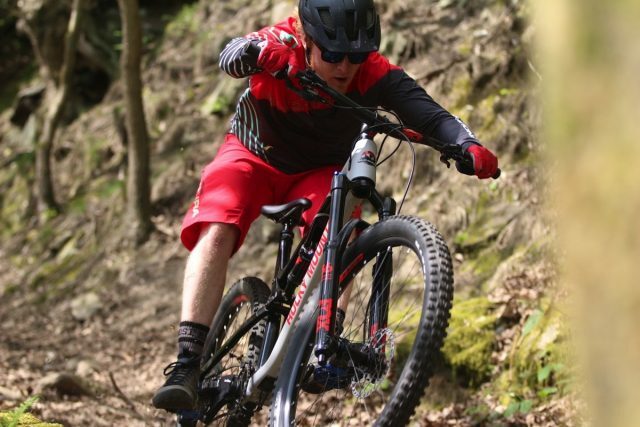 We let him loose on this 29er edition of the Neuron, having previously tested a 27.5in iteration, known then as the Nerve. The review for this is published in Issue 115 of Singletrack, so if you’re a subscriber you can hop on over here to read it. Sign up here to become a subscriber for as little as £1.59. Or you can make do with the first look feature here. But surely you’re curious to know how this alloy frame performs? 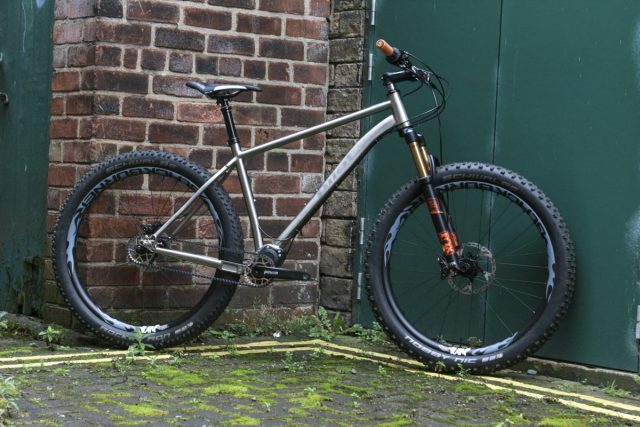 Another alloy bike from a company perhaps better known for its carbon fibre offerings…yes, this one is in the same bike test as the Jeffsy above, so you’re going to need to read Issue 115 of Singletrack. Here it is for subscribers. Norco Sight completes our alloy 1-2-3 bike test. 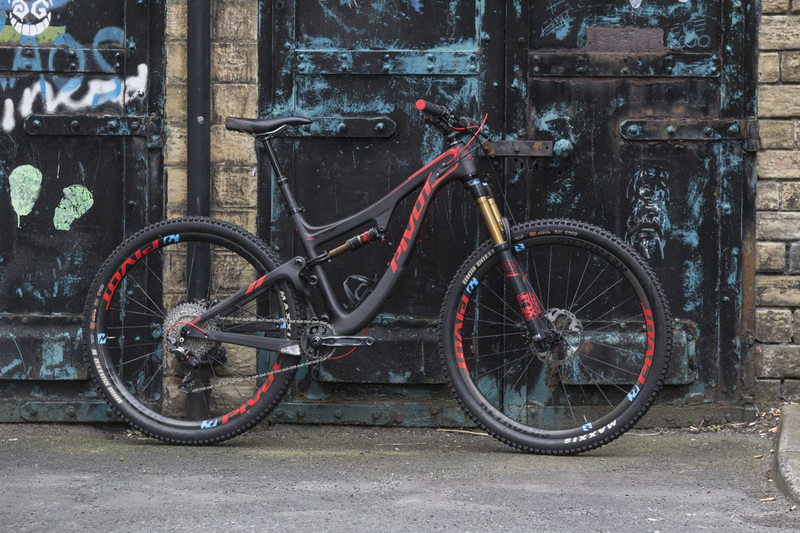 If you’ve spotted the theme, you’ll have guessed you need to read Issue 115 of Singletrack to check out the review of this bike. Alloy 29ers from brands more commonly associated with carbon fibre. Do you need to spend big bucks to get big brand performance? Big Barney (he’s very tall) tested this Norco and the two alloy bikes above in an effort to find out. It wasn’t as clean as this after Redbull Foxhunt! By the time this bike made it into Fresh Goods Friday, we’d been secretly riding it for quite some time. Chipps rode the Fort William Endurance Downhill on it before publishing his review, and Wil went to the official launch and made this video. Then for a last hurrah, Hannah took it to Redbull Foxhunt, where its excellent tyre clearance came in very handy. 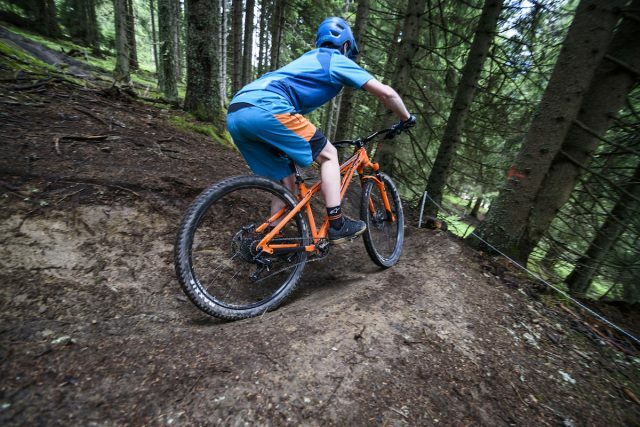 More and more XC racers are using full suspension bikes these days, so we thought we’d best check out how this new breed of racing machine performs. Racing snake Wil reported his findings in Issue 116, which you can read here, or you can check out the first look here. 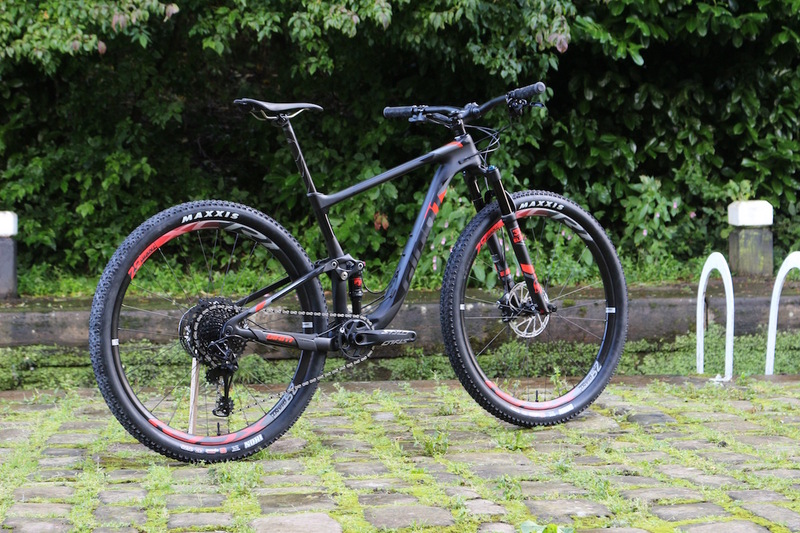 We can’t guarantee this’ll make you as fast as Nino Schurter or Jenny Rissveds, but we can promise there’s a review of it in Issue 116 of Singletrack Magazine. Or you can check out the first look feature here. This is one that got away! We only had it long enough to feature it in Fresh Goods Friday before it had to be returned from whence it came. Red and gold with glitter paint! Completing the line up for the Issue 116 full suspension XC bike test is this subtle offering from Specialized. It’s worth checking out the first look feature to fully appreciate that paint job. Our third Pinion of the year. Titanium! Belt Drive! Pinion Gear Box! 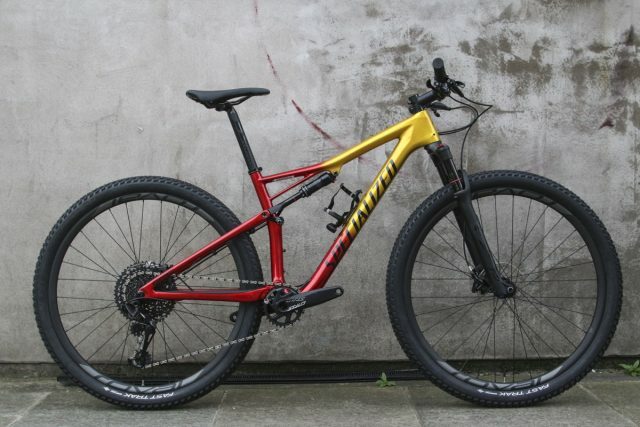 Hitting peak niche is this hardtail from Holland. It’s in the final throes of testing at the moment, but the first look article here has all the technical details and plenty of images of all those interesting bits and pieces. 29/27.5+ How will you ride yours? 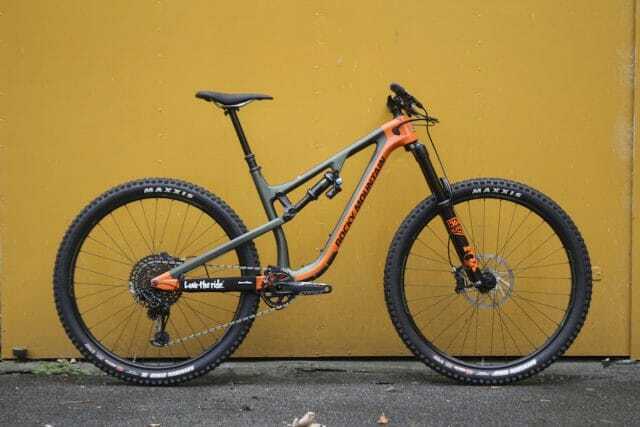 Another bike that’s still out for testing – Rachel Sokal being the lucky tester – this Genesis Mantle is part of the increasing number of 29er/27.5+ compatible hardtails. Until that review comes in, you’ll just have to head to the first look article for more information. New school rubber meets old school rigid. Chipps has taken on the bike test for Issue 117, which will be three bikes with no suspension, just fashionably large tyres. If you want to find out what he thinks of this bike, get yourself subscribed now and when Issue 117 is published in February, you’ll be one of the first to read the review. We’ve sent this big travel bike off to the big hills of the Lake District, where James Vincent will be doing his thing and testing this bike. 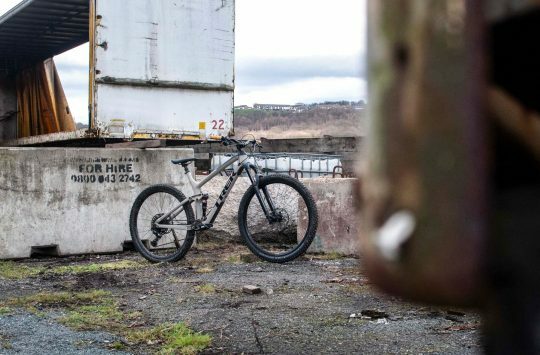 If you follow him on Instagram you might spot him out and about and get an early peek at the bike in action. Another rigid bike for Chipps’ Issue 117 bike test. 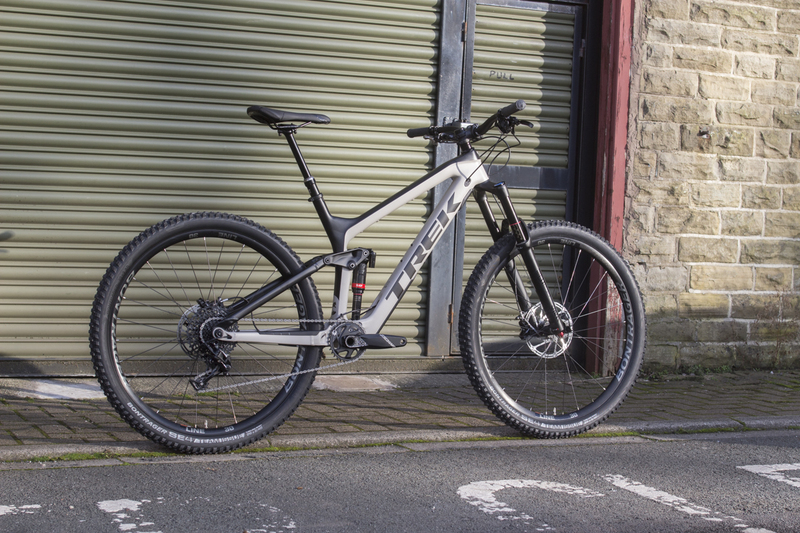 At £800 for a complete bike, this takes the crown of lowest priced bike we’ve tested this year – how will it perform? This only landed briefly before continuing its migratory journey. Twitchers were attracted in droves to eye up this new hardtail from Bird, as we received this just as it launched to get a closer look. 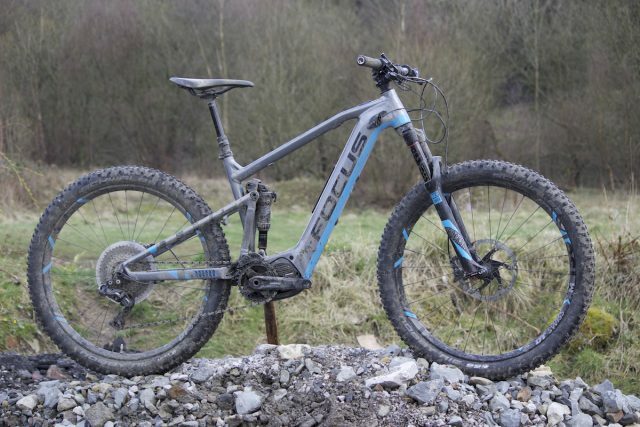 It was a brief sighting though – this has gone back to join the demo fleet and won’t be being tested by us. Nice wall. Even nicer bike. 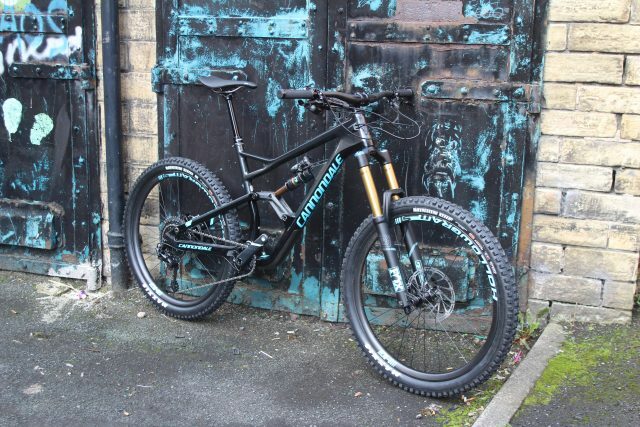 This bike went absolutely wild on our Instagram, with images of this proving to be some of the most popular this year. Antony is testing it, covering it in a good coating of Calderdale mud, and checking out whether its performance is as good as its looks. For all of the details, get your peepers on the first look article here. Black and gold, what’s not to like? This British hardtail is being tested by Hannah and Amanda. 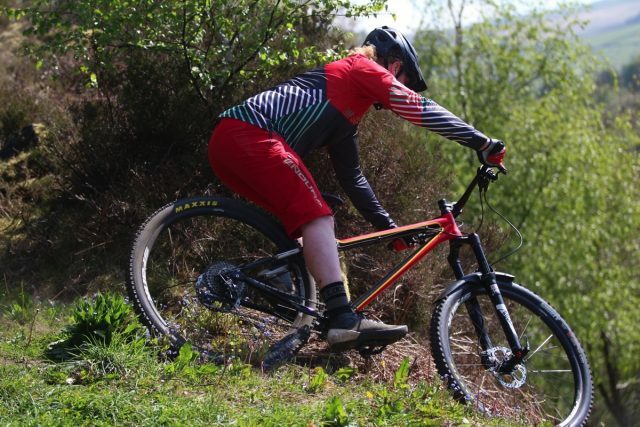 Hannah owns an old Whyte 901, and came back from her first ride on this saying ‘it’s like my bike on steroids!’. We think that’s a good thing. 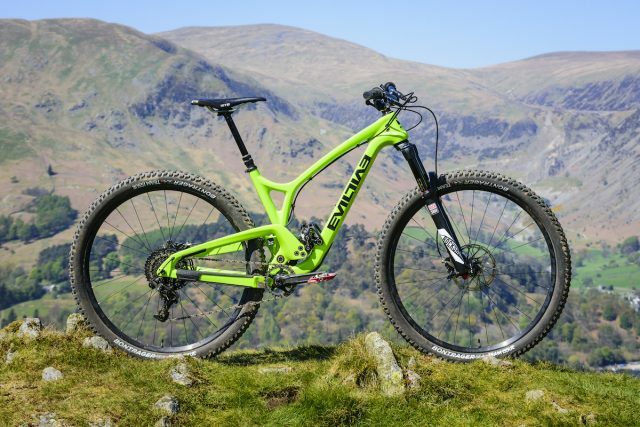 You’ll have to wait for the review, but you can see Neil Halcrow from Whyte talking through this 2018 bike here. Pink! Suitable for boys and girls. 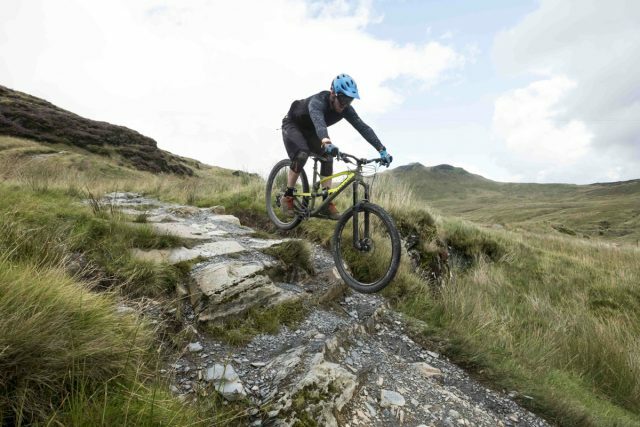 Joining the Lake District test team is Ben Gerrish, who will be visible on any mountain top on this. If you’re lucky, you might spot him here on Instagram. Ancient proverb: Never underestimate the rigid of fork. 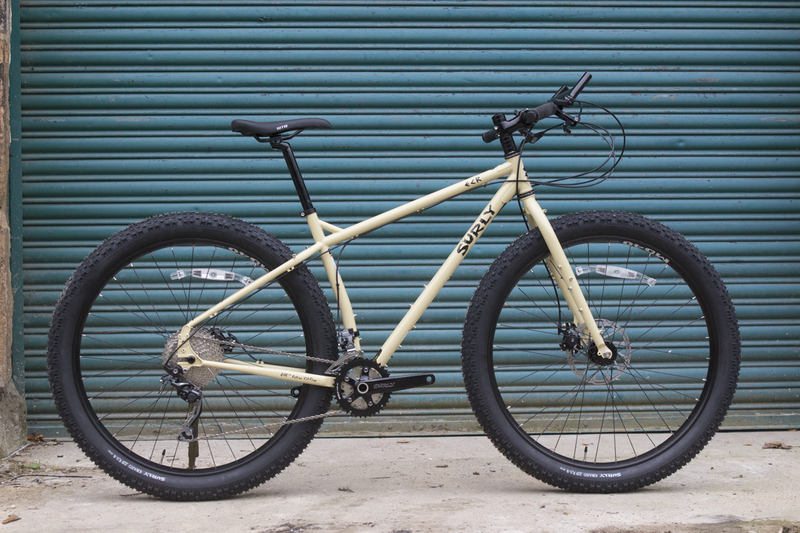 And sliding into the office just in time to be counted, last but not least we have the Kona Unit X. It’s the geared version of Kona’s classic steel singlespeed, if you see what we mean. 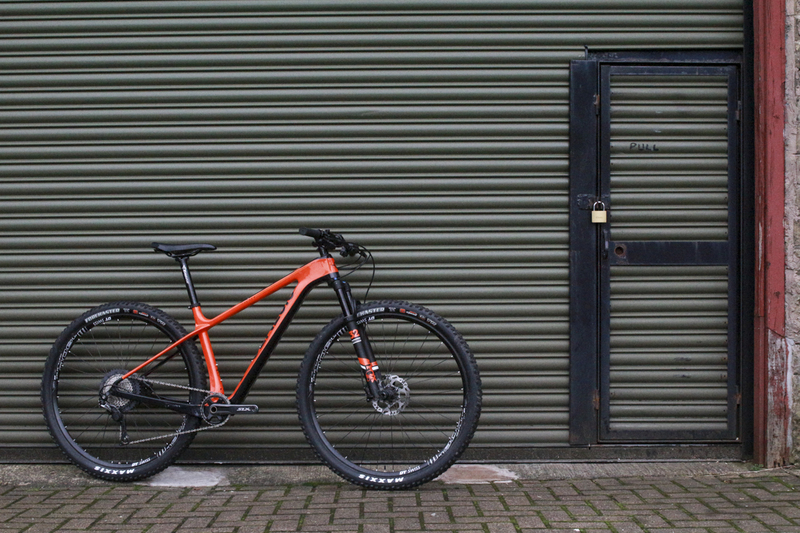 This is lined up for February’s bike test, so wait and see how we get on then. PHEW! We made it! That was one long list of bikes, so well done for making it all the way through. Now, which one was your favourite?